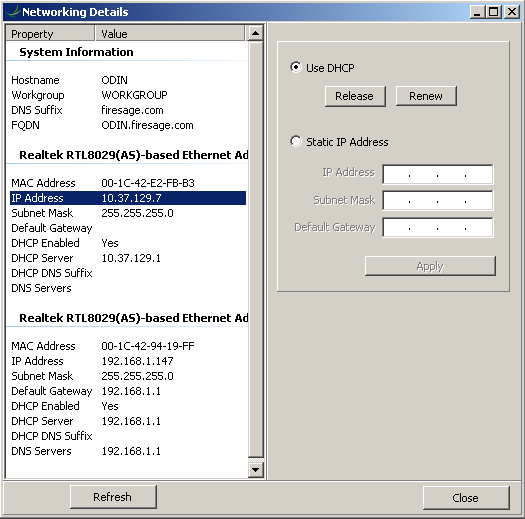 fsNetter was designed to simplify the network configuration process under Windows PE. 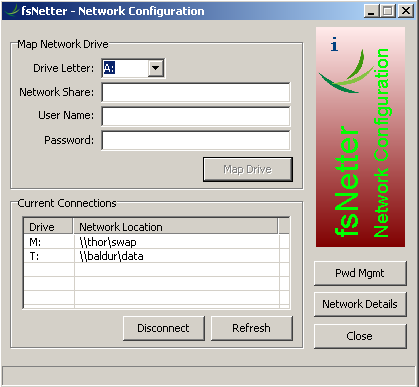 With options to automate basic network settings such as individual NIC configuration, mapped drive letters, IP configuration, and encrypted password support, fsNetter will become a valuable utility in your WinPE toolbox. Designed to support both WinPE 2.x (Vista) and 3.x (Win7/2008) platforms, fsNetter also works well on most Windows operating systems since Windows XP. fsNetter functionality can be broken down into two different capabilities: Live network configuration via the simple user interface, or automated configuration via configuration file and scripts. Check out the reference tab for further details.